Did you know that Peter Rabbit is over 100 years old now?! He first appeared The Tale of Peter Rabbit book in 1902 and has been delighting fans ever since. I remember reading Beatrix Potter books as a child and I think it's lovely that the generation are also able to enjoy the stories! 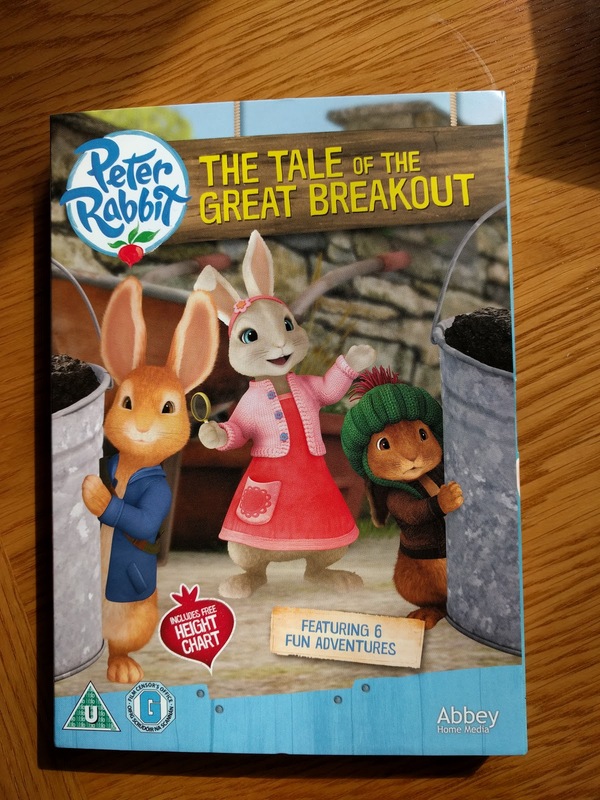 Abbey Home Media have recently released a brand new DVD, The Tale of The Great Breakout featuring Peter Rabbit and his friends. It also contains a free height chart which was a big hit in our house - Elliot has been lining up against it to see how tall he is! If you fancy winning yourself a copy, take a look below. Good luck! I always loved The Little Red Hen! My favourite story as a child was 'My Naughty Little Sister' by Dorothy Edwards. Liked all the Jennings and Darbyshire books. The Lion The Witch And The Wardrobe, still a favourite now. I loved the Three Little Pigs as my parents tickled my feet as they read the story. My gran came from Gibralter so she told us Spanish stories. I liked the scary one about a boy who spent his mothers shopping money gambling in street. So pinched some liver from local morgue, maybe you can guess the rest.